FILING OUT THE HC H QUESTIONNAIRE TWO LUCKY PEOPLE WILL WIN A PAIR OF WEEKEND TICKETS FOR TATTOO JAM WWW. TAT TOO J AM. CO,UK AND A SKIN DEEP T-SHIRT. SO PLEASE GIVE US YOUR THOUGHTS! HOW MOCK DO YOU SPEND PER YEAR ON TATTOOS? 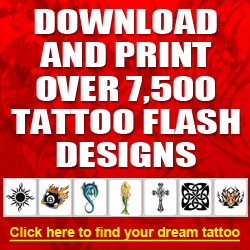 WOULD YOU LIKE TO GET MORE TATTOOS? DO YOU HAVE AMY 'COVER UPS'? OR DO YOU WANT ANY? HAVE YOU EVER HAD LASER TATTOO REMOVAL? OR WOULD YOU CONSIDER IT? DO YOU EVER GO TO TATTOO CONVENTIONS. IF SO, WHICH ONES? HOW MANY PER YEAR DO YOU USUALLY GO TO? IS SKIN DEEP THE ONLY TATTOO MAGAZINE YOU USUALLY READ? WHICH OTHER TATTOO MAGAZINES DO YOU READ? HAS ANYTHING YOU'VE SEEN IN SKIN DEEP EVER INSPIRED YOU TO GET A TATTOO? OR GIVEN YOU IDEAS FOR A DESIGN OF YOUR OWN? HAVE YOU EVER RESPONDED TO AN ADVERT IN SKIN DEEP?